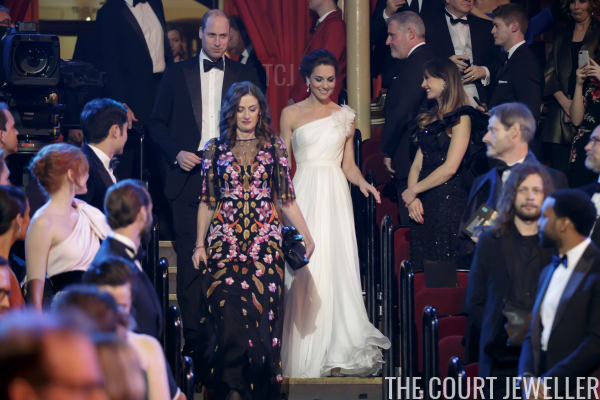 The Duke of Cambridge has been the President of the British Academy of Film and Television Arts since 2010, and the couple have attended BAFTA events throughout their marriage. 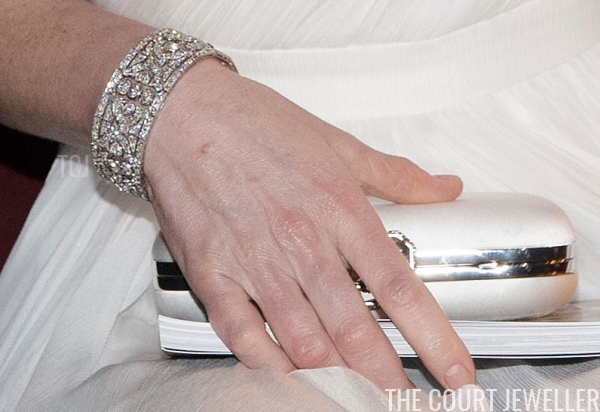 Kate accessorized her white gown with diamonds and pearls with royal heritage. 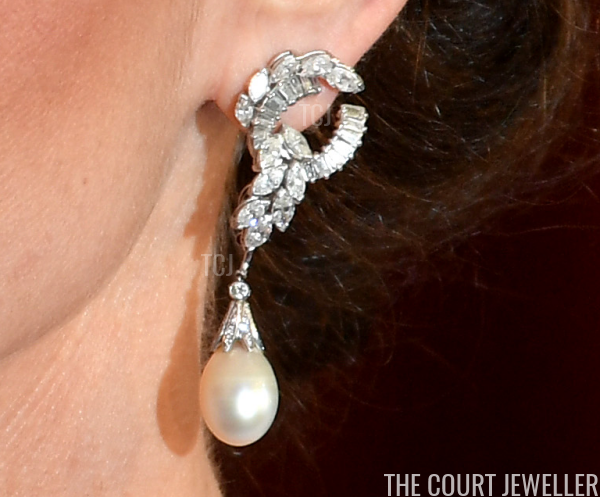 These diamond and pearl statement earrings may look familiar. The stud portion of the earring is intricate, featuring a horseshoe set with baguette diamonds, with a leafy portion wrapping over and around it. A pearl drop is suspended from the diamond portion. 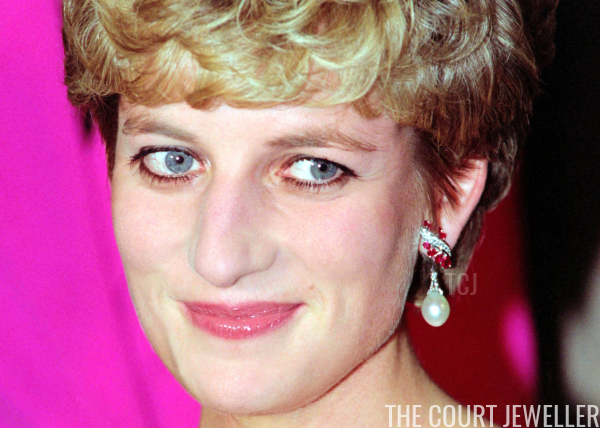 The earrings belonged to Kate's mother-in-law, the late Diana, Princess of Wales. You'll note, however, that the pearl drop that Diana wore with the earrings is different from the one Kate wore to the BAFTAs. Diana's pearl is rounder and is set differently. 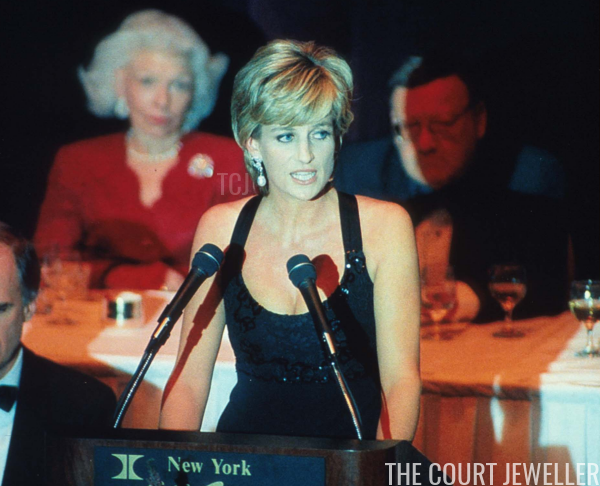 One extremely memorable appearance in the earrings came in December 1995, when she accepted the United Cerebral Palsy Humanitarian Award in New York. 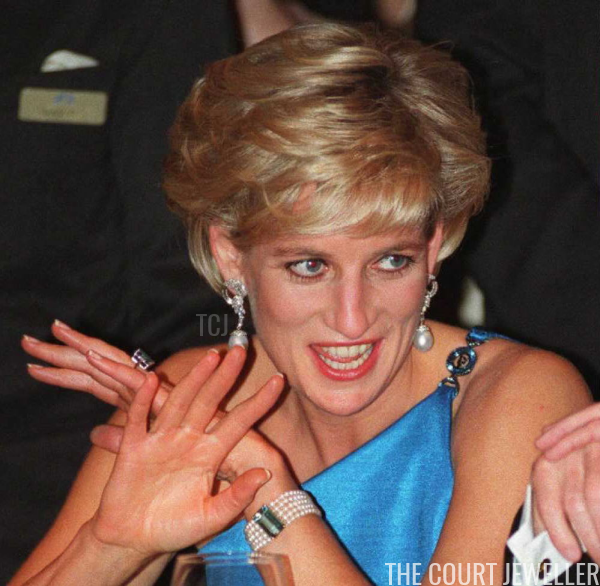 She also famously wore the earrings with a blue one-shoulder gown in Sydney for a fundraising dinner for the Victor Chang Cardiac Research Institute in October 1996. You'll note that she's also wearing pieces from her aquamarine collection, including the aquamarine ring now worn by the Duchess of Sussex. 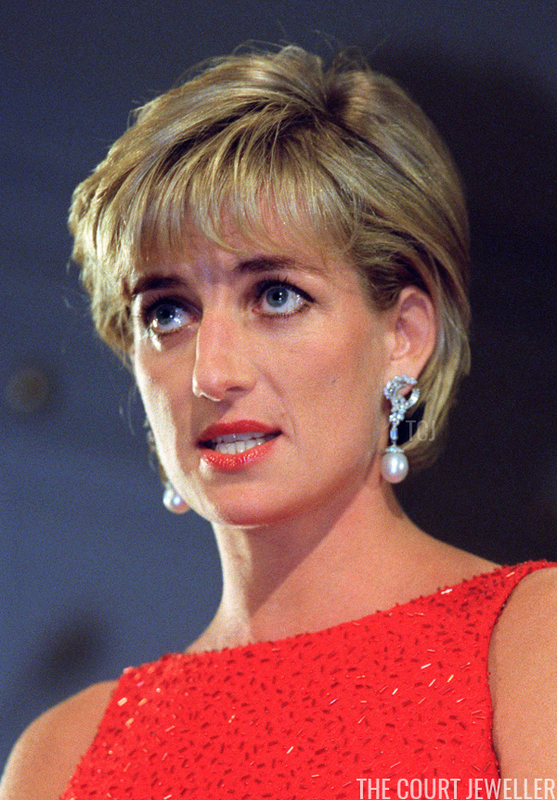 And here, Diana wears the earrings in June 1997 for an American Red Cross gala at the National Museum of Women in the Arts in Washington in honor of victims of landmines. 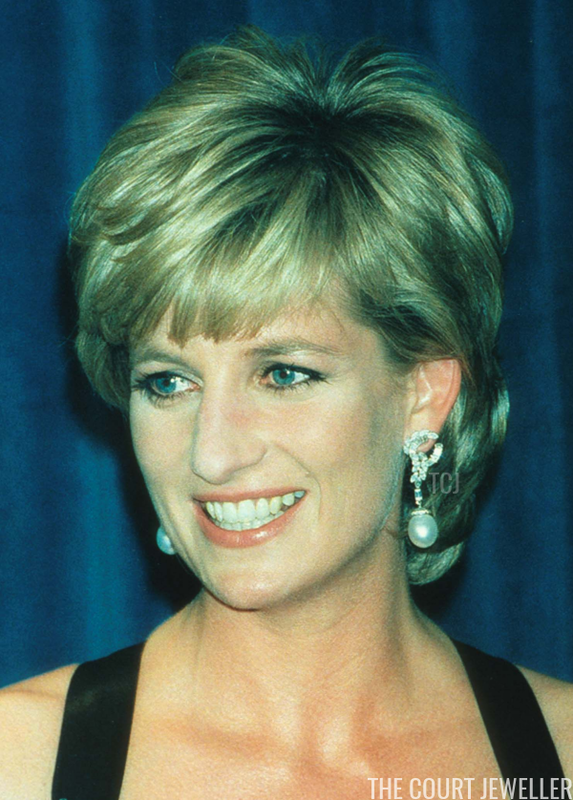 Diana also wore the stud portion of the earrings without the pearl drop. She chose that configuration to see Swan Lake at the Royal Albert Hall in June 1997. Along with Diana's earrings, Kate wore the Diamond Quatrefoil Bracelet on loan to her from the Queen. We first saw Kate wear the bracelet in November 2017.